Way too pricey for such average lip gloss. Very sticky, and not long wearing. Not worth the price. I bought this in Sari pink and I have to say I love love love the color and pigment of this gloss. 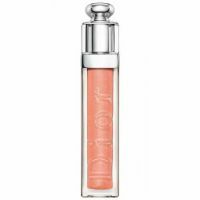 It makes my lips look fuller and pearly, its a pink/peach shade that really looks polished and completes any look I'm going for, I'll be back to get this again. The color is really reflective. Not sticky & hydrating. But not as long lasting as I would like. But for the beautiful effect & color (I have Jersey Pink) I still give it top rating.